The early-90s RPG classic Realms of Arkania is getting a hi-def makeover. Realms of Arkania, in the videogame context, is actually an RPG trilogy that debuted on MS-DOS and Amiga systems all the way back in 1992: Blade of Destiny, Star Trail and then, in 1997, Shadows Over Riva. I never actually played the games but by all reports they were pretty good stuff, and while The Dark Eye franchise it was based upon has continued with the Drakensang games, the Arkania titles have been the exclusive playthings of serious old-timers and the GOG crowd. But that is apparently about to change. 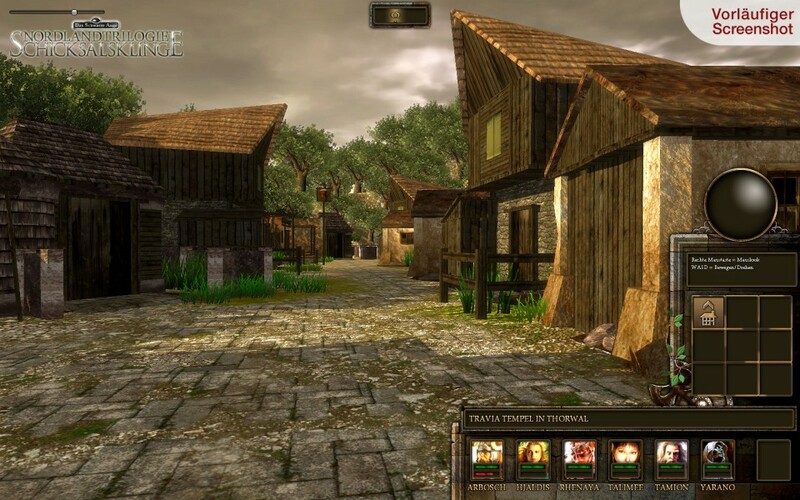 Austrian developer Crafty Studios has announced a "one-to-one remake" of Realms of Arkania: Blade of Destiny, the first game in the series. The remade Realms will boast a "complete visual reimagining along with a comprehensive overhaul of every aspect of the gameplay," and while that doesn't quite jibe with the idea of a straight-up redo, the German press release - which I suppose we should take as the original - according to RPGWatch talks about improved graphics but says nothing about changing the gameplay. There also seems to be some confusion as to what exactly we'll have when the game finally comes out: The English press release refers solely to Blade of Destiny, while the Google-translated German announcement describes it as "The Dark Eye: Nordlandtrilogie." The Northlands Trilogy is the collective name for the Realms of Arkania games, the obvious implication being that the remake could cover all three games rather than just the first. Whatever the case, the first screenshot from the game is also floating around and while it's obviously not going to be the next Elder Scrolls, it might just be the next, say, Legend of Grimrock, which is pretty cool too. 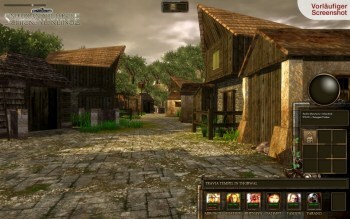 Platforms have not been announced but Realms of Arkania, in part or in whole, is currently slated to come out in the second quarter of 2013.